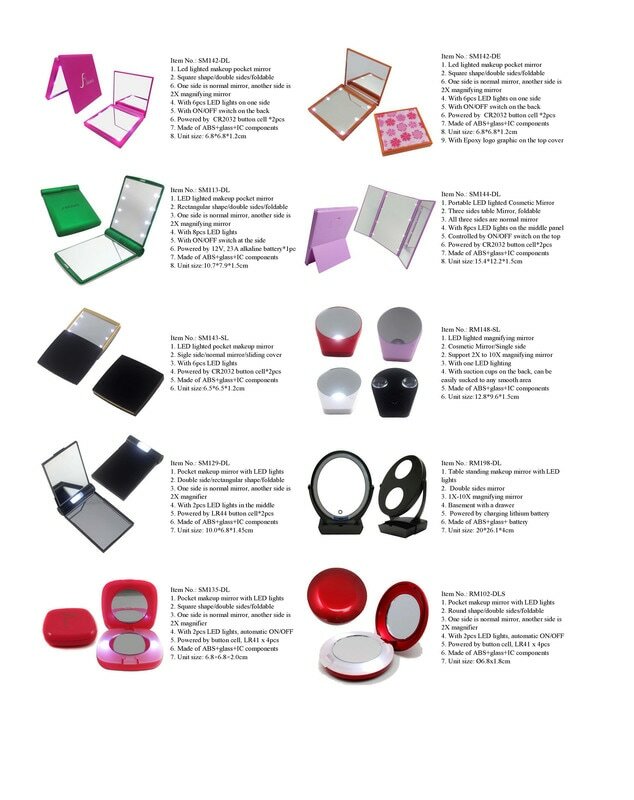 Brand names on the mirrors are belonged to respective customers. 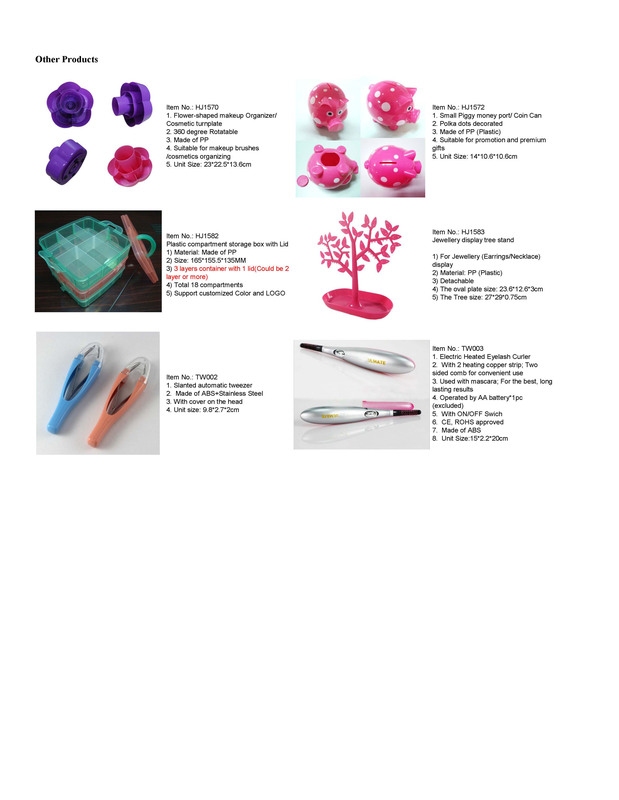 This is a professional plastic injection moulds maker with about 15 years experience. They have a professional team specializing in plastic moulds design and tooling. 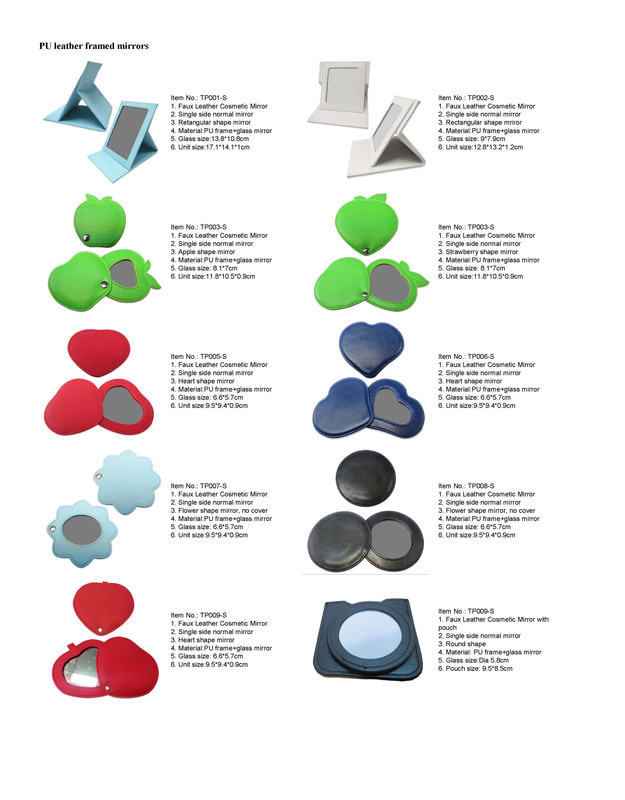 Most of the moulds designers, structure engineers and tooling makers are with more than 5 years working experience, which make them outstanding on product research and developing. 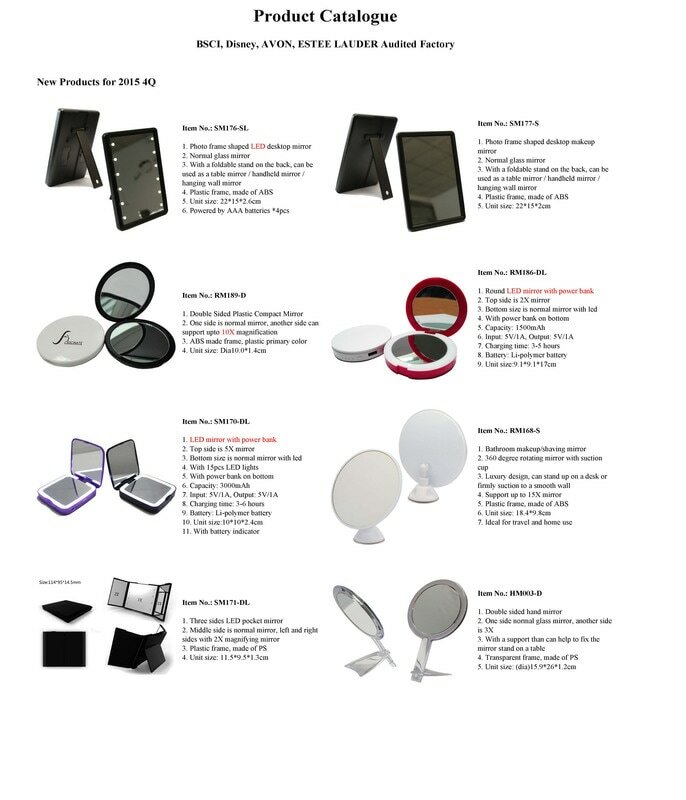 This factory has been manufacturing makeup mirrors with 8 years experience and specialize in producing high-class; middle class cosmetic mirrors and LED lighted mirrors. 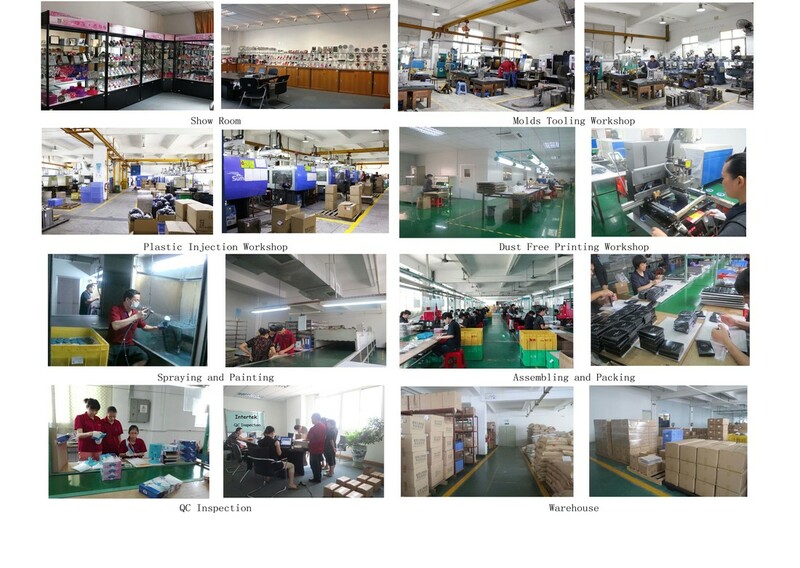 The factory have been audited by BSCI in Feb. 2015. 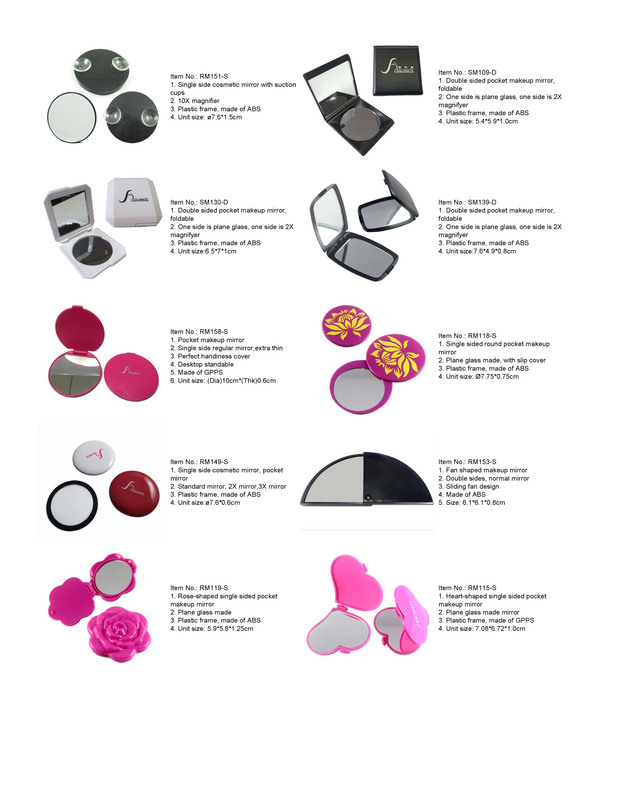 It also has been audited by Estee Lauder and Avon. 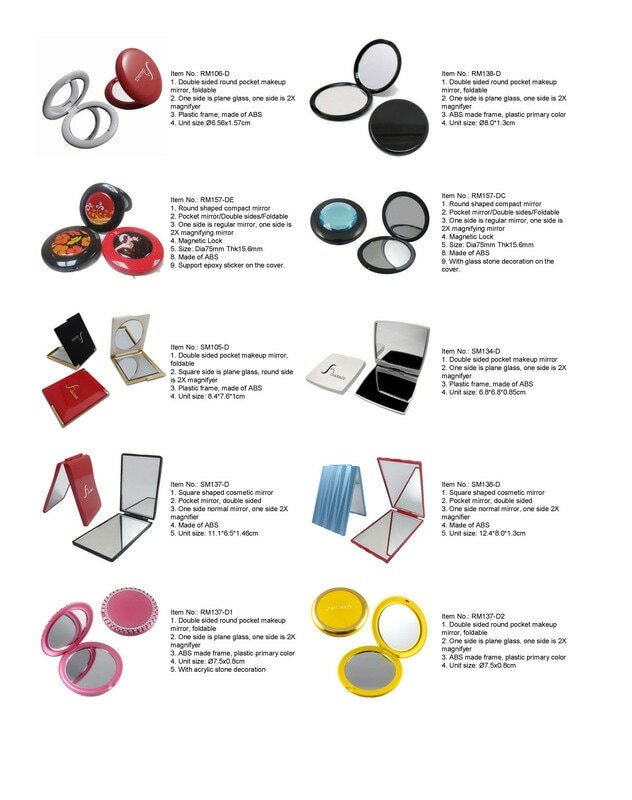 The factory is also ISO 9001:2008, ISOl4001:2004 certiﬁed company. 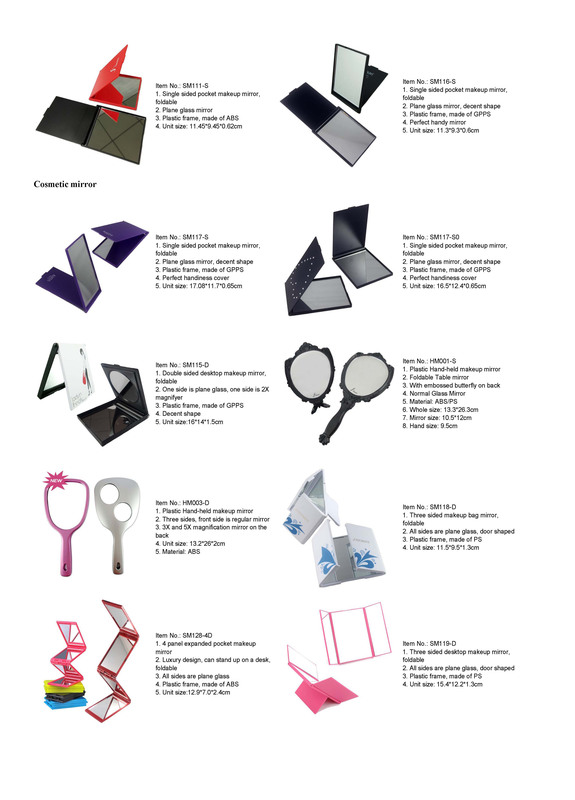 All production are well-organized and with strict management. The company owns more than 100 items of makeup mirrors and cosmetic accessories for choose. 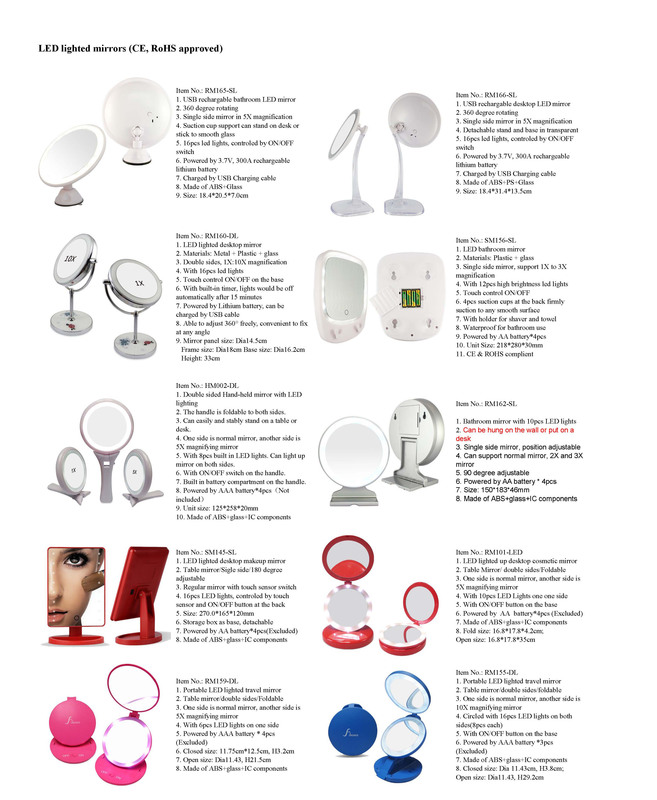 Product range from pocket compact mirrors to LED lighted dressing table mirrors. 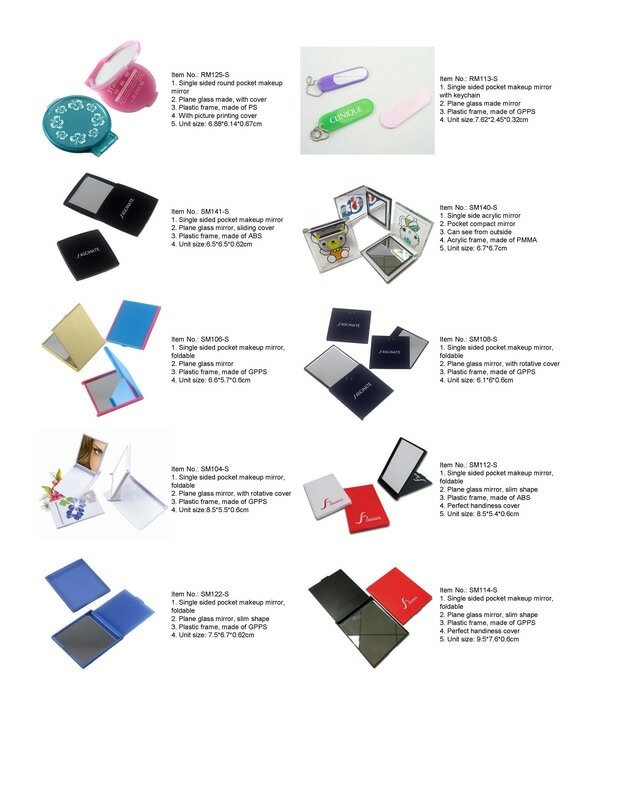 Material produce with: ABS, GPPS, HIPS, AS, MS, Pl\/IMA, PC, PA6, PA66, PA+GF, PVC, PP, PE, TPE, TPU, TPR, LCP, PBT, PETG, PC/ABS, POM.